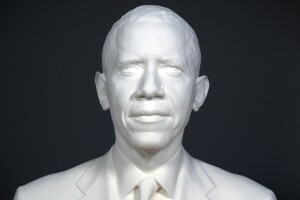 The USC Institute for Creative Technologies immortalizes President Obama in 3-D. 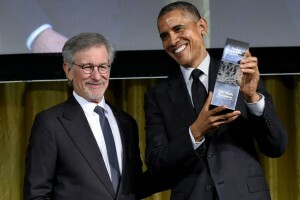 The president was recognized with the Ambassador for Humanity Award for his efforts to protect human rights, his commitment to education and his work advancing opportunities for all. A recent meeting between President Barack Obama and Chinese President Xi Jinping was the focus of the second installment of the 2013 Journalism Forum series hosted by USC Annenberg. From teacher pay to No Child Left Behind, a new chart from the USC Rossier School of Education compares the positions of President Obama and challenger Mitt Romney on the most important education issues. After the conventions, polling bounce for Romney and Obama is negligible. Are bounces declining, and do they even matter by November? The USC Dornsife/L.A. Times Poll finds President Obama’s job performance rating at its highest among California voters since 2010.
the court right instead of left, says Daria Roithmayr of the USC Gould School. Obama neglected his campaign promise to reform immigration and help unauthorized immigrants become citizens, says USC’s Jody Agius Vallejo. It’s been one year since Barack Obama was inaugurated on the steps of the Capitol building. USC professors Ange-Marie Hancock and Jane Junn review his 2009 obstacles and achievements — both symbolic and concrete — and consider what lies ahead for him in 2010. Obama’s decision to announce Biden by text puts him ahead of McCain on technology, says Frank Chindamo of the USC School of Cinematic Arts. The military coup in Honduras is a real test of the administration’s Latin American strategy, says USC professor Abraham Lowenthal. Will it be Sotomayor, Granholm, Wood, Sears? In a decision expected soon, the president will name his successor for Supreme Court Justice David Souter. Obama’s pick, almost certainly a woman, is not likely to shift the balance of power, say Supreme Court experts Howard Gillman and Daria Roithmayr. and auto industries, and so little to the profitable business of creating art? Elizabeth Currid of the USC School of Policy, Planning, and Development breaks down the stimulus plan’s $50 million allotment to the NEA. At an upcoming event, USC professors will grade the new administration’s first hundred days in the White House. What must Obama accomplish right away? Political experts Dan Schnur and Richard Reeves give advice on the administration’s early laps. When Barack Obama takes the podium on January 20 to deliver his big speech, who will he name-check? What subjects will be verboten? USC communication professor Thomas Hollihan, an expert on rhetoric, offers a tip sheet for inauguration viewers. The election that made Obama America’s first black president also brought racism into the spotlight, says USC sociologist Karen Sternheimer. From Rev. Wright to favorite political blogs, from cogent analysis of Barack Obama’s victory to one wrong prediction about a gay marriage proposition — cast your eyes on the 10 most popular stories this year from the Election 2008 Web site. 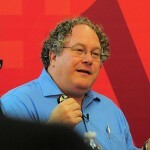 And look for new content in 2009 on the revamped site, USC Politics and Society. This is a watershed moment that speaks volumes to the rest of the world, says USC’s Ange-Marie Hancock. But the hard work has just begun. mortem on the 2008 race: A two-day conference at USC will offer analysis from top Obama and McCain strategists. online video game helps confused voters fact-check the candidates’ claims. Barack Obama picked his running mate in damage control mode, hoping the longtime Delaware senator would steer him through a sea of unhappy Hillary Clinton supporters, says USC professor Patrick James. But the move may irritate young Obama activists, who are opposed to politics as usual. Bias on Obama Campaign Funding? McCain would face more scrutiny if he were the one with Obama’s deep pockets, says Jonathan Wilcox.